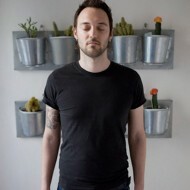 Text1 and photos by Federico Gama. Between November and December 2004 I found myself compelled to start a new project. What I was seeing right outside my window was something truly extraordinary, and it suggested a substantive continuation of themes I’d been exploring in the previous fifteen years: cultural migrations, identity, and dress as a form of expression. Every Sunday I’d see them pass by, in twos, or singly, or in groups: curious urban-style Mexico City kids who beat an almost ritualistic path. They’d go from the Chapultepec metro station to an area near Tacubaya station, and they walked down the very street where I live, as if to shout “Here I am and you can’t escape me.” It was evident that the players in this pageant—a story I’d wanted to tell for some years—were enthralled by urban fashion. That Sunday, with my camera and a 70-300 mm zoom, I surreptitiously followed the young people milling about among the carnival rides that stretch from Metro Tacubaya to the Cartagena Market. I sat for a while on a stairway that divides the park until I saw a group of three punks, so I ran to the opposite side of where they were headed. I knew they were on their way to nearby lunch counters, to have a beer, and that I could get good front-on shots of them when they came back or made their way around nearby alleys. Ultimately I perched myself on a garden wall where I could keep an eye on two walkways or alleys and achieve a good vantage point on both streets, that afforded an interesting composition involving some shuttered storefronts. On Sundays, the alleys around Metro Tacubaya tend to be rather abandoned compared to their weekday bustle. I waited for twenty disappointing minutes and grew a bit disappointed since I thought the punks weren’t going to come back. But then I saw them walking in my direction—a group of maybe ten or fifteen. My wait had paid off. It was exciting to see these young people walking defiantly, masters of their environment and its scene, and though I took care not to be noticed, I knew that not much time would pass before they’d see me there; as well I thought that I’d only have the chance to get four shots, at most, before they’d see I was taking photos. I wanted to avoid being noticed for a number of reasons: the subjects’ attitudes would change, they’d stop allowing me to take pictures and furthermore, I’d lose this extraordinary set-up. It was the largest group I’d seen with the characteristics that had interested me—and in within the context of one of the city’s roughest neighbourhoods. I took the first shot when I had them in the viewfinder; I framed the shot around the group to include the greatest number, focusing on the central personalities to reduce focus on the foreground or background, because of their imposing manner of moving forward together—flexibly and defiantly, like a school of fish. 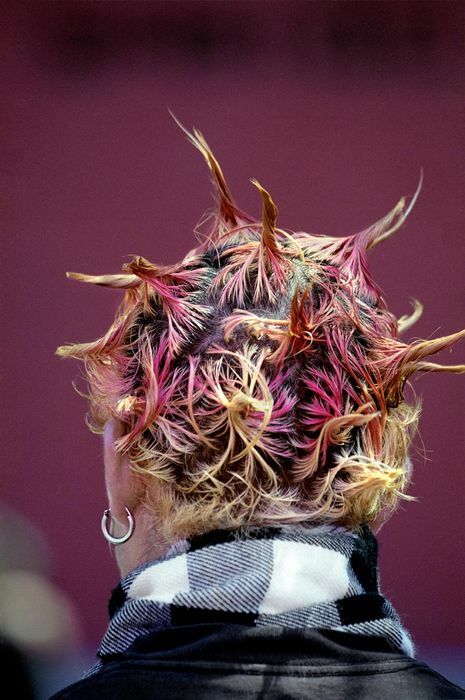 I wanted that idea of confidence and defiance to come through precisely in my photographs. Then I hit upon another possibility, and in a split second I opened up the frame to contextualize where they were walking and I started shooting again. The first personalities had already passed my visual field and I focused on those I had in the foreground but in the back of the image I included the sign at the lunch place, called Escondido (Spanish for “hidden”), where they’d eaten and had their beers. I also included another figure, a bearded man that’s seen off in the distance to the right and who has nothing to do with the group. I wanted to include him as a confrontation or contrast to the young men, since the context where they hang out on Sundays doesn’t belong to them; from Monday to Saturday, it’s a place where different groups come together and it functions on a different level. I thought in this composition I could play with the ambiguity of the figures in the space, with a textual reference affirming that someone is hidden, as well as the image of that other figure that can barely be seen to the right—a figure that some have told me resembles an image of Christ. To be honest, I didn’t imagine anything like that at that moment, but with every passing I day I grow more convinced that that’s how the figure’s image works. Lastly I took one more shot of one last guy who was approaching the lunch place’s door—where the other guys had chosen to have a beer and where he, arms crossed, stood watching as the rest of his friends entered the restaurant. In a few seconds what I’d feared would happen, did; they discovered me. But I’d already gotten three great shots of the group, along with that sensation all photographers get when they work on film and have to go to the lab to see the results: a strong hunch I’d captured something really great, and at the same time, a terrible fear the shots would somehow not turn out. The adventure didn’t end there. They told me right away they didn’t want their pictures taken. It wasn’t hard to figure out who was the leader, so I went up to him to see if I could talk him in to letting me take a group photo, but he utterly refused and indicated that none of them allowed his photo to be taken. Posed pictures, in fact, did not interest me; I just wanted to start a conversation to ease tensions a little and try to explain to them why I was after the images. The situation was tricky—maybe dangerous—for a lone photographer in an abandoned alleyway, on Sunday, and in a part of town where the police practically don’t exist. But based on experience with these youth groups, I knew that everything was under control. They maintained they didn’t like photos and that one time someone had been taken pictures of them at the Merced Market, had failed to deliver them, and had then sought to sell them to the boys at a very high price. I explained I was interested in the current fashions of young people who had emigrated from small towns to Mexico City, to take jobs in construction, for a photo-documentary project. The notion seemed so odd to them that it only fed their insecurity. They objected in clumsy, slum-style Spanish: No se hace. No bandas. No foto. No se hace bandas. No foto—Not happening; no way, man. No photos. Don’t even go there; no pictures. I didn’t insist. I left straight away, because at that time I worked as an editor at a newspaper and I had to get to an editorial meeting. But before that I swung by the lab to have my film developed. I went to the meeting only so it would end sooner and I could go pick up my negatives. When I saw the images I realized I’d created a photograph that defined my project. The scene seemed like something out of a movie, a contextualized portrait where the most important figure was surrounded by his tribe, who lent him an air of strength and power. I called the image Escondido (Hidden) and the story of how this photo came to be exemplifies many of the questions that make up the Mazahuacholoskatopunk project. As Bruno Munari points out, “everyone sees what he knows,” but what’s most interesting about this phenomenon is the centrality of appearances, and the way they can confuse us, especially if we consider the dual meaning of the term appearances. In one sense appearance is the superficial aspect of things, in this case the fact that the young men—in their own estimation—maintain, or make efforts to maintain, a proper image (or appearance). The second sense refers back to appearance in the sense of a put on—that is, appearing to be something you’re not. 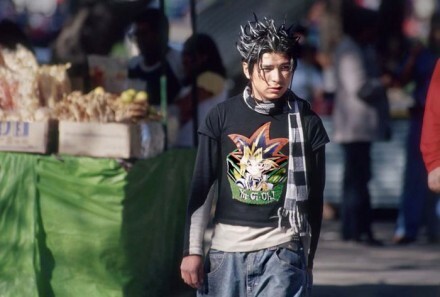 These kids dress like LA-style cholos, skateboarders, punks, emos or goths, but aren’t of these. They employ these Sunday disguises, outfits or even vestments to adopt other personalities in a representative sense but also as an individual characteristic and in the guise of a self-satisfied and interesting individual. Put another way, these young people mix up appearances, the staging of scenes and performance so as to “hide” their origins, since in Mexico there’s nothing lower or more pejorative on the social ladder than to be an “Indian,” with all it presumably implies: uneducated, poor and poorly dressed. 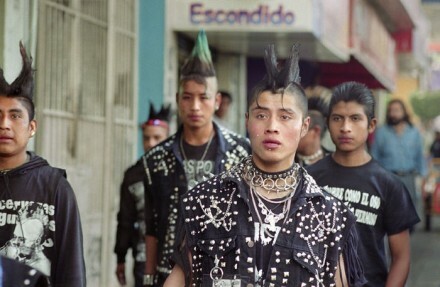 At first glance, to less expert eyes, these young people are “punks.” Specifically, a Mazahuacholoskatopunk kid’s intention—consciously or otherwise—is to look like a teenager from Mexico City and therefore avoid discrimination. 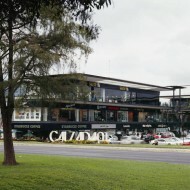 They adopt these looks to integrate or “convert to” Mexico City’s urban life, in radical and immediate ways. They seek to make their working-class, indigenous origins invisible, and youth culture clothing offers them the perfect camouflage to “act out” (in the sense of interpreting a role) a street scene, by adopting looks as far as possible as those of traditional indigenous peoples. The outfits lend these young people a magical sense of security, like that of soldiers, or priests or supermodels, and that is indeed the way the clothes are worn—to evince glamour (i.e., security, strength, power, elegance and sophistication). 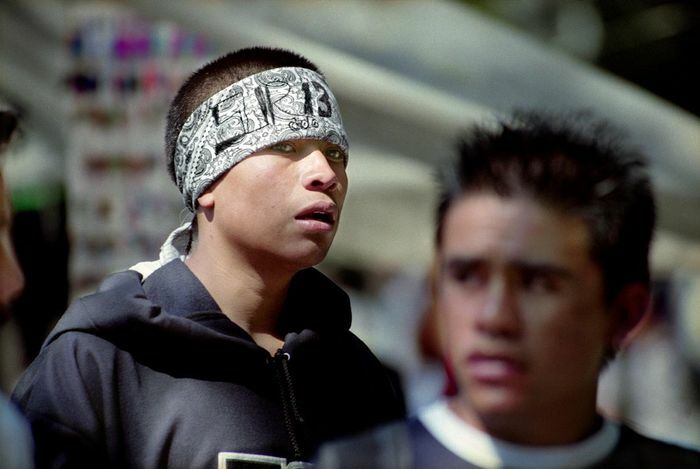 The Mazahuacholoskatopunks are groups of young people assembled from numerous and varied indigenous groups, native to central Mexico, where differing languages are spoken, but who manage to identify themselves through a series of “personalized” outfits that unify them amid their great variety, and that afford them style. In the case of the Mazahuacholoskatopunks, it’s clear that dandyism isn’t just Savile Row anymore. The only thing that’s the same for everyone is their social position: originally from indigenous towns in Mexico, which means they live in a state of marginalization and are compelled to leave their hometowns to seek work in the city as construction workers (in the case of the men) or servants (in the case of the women). Normally, they are people who exist without social visibility. 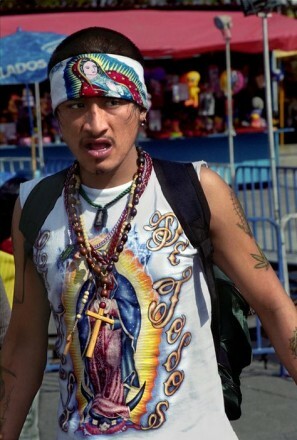 In this transformation, or construction, of urban identity, the Mazahuacholoskatopunk recovers a certain dignity in the public forum and his body language changes. Members of the group act or move about the city confidently, like conquistadors or runway models (though interestingly, this applies almost exclusively to Sundays, since they work all day the rest of the week). But once they are observed—once they know that the Other, the “real” urban other, observes them—it is as if their urban disguises are stripped away, and with them the power that such outfits represent to the Mazahuacholoskatopunk. At that point, the dandy withers and the timid, distrustful, and fearful “Indian” emerges. When I discovered this vulnerability behind their provocative appearance, I hit upon how to produce my project at the same time I imagined a medium for its presentation. It offered increased visibility to the Mazahuacholoskatopunk group by leveraging the “urban dignity” they constructed for themselves, in the urban context. And it would propose a very different kind of visibility/dignity, deliberately in contrast to the sort of paternalistic, top-down prescriptions an anthropologist, politician or priest—in short, that institutions—would imagine for them. Based on that remark, I reaffirmed what I’d been doing since 2004: “equating” the attitude projected by the city’s Mazahucholoskatopunks—in both practical and symbolic terms—with that of supermodels who captivate us from magazine covers and on television commercials. But to do so, I needed to document them employing the same aesthetic values as are used to portray cinema stars (which in technical terms meant working with telephoto lenses, as is the case in fashion shows). Then I needed to publicize their images via urban advertising media channels, specifically by exhibiting their portraits on Mexico City’s large-format, out-of-home advertising venues, and specifically on the walls erected in front of the city’s new construction sites. 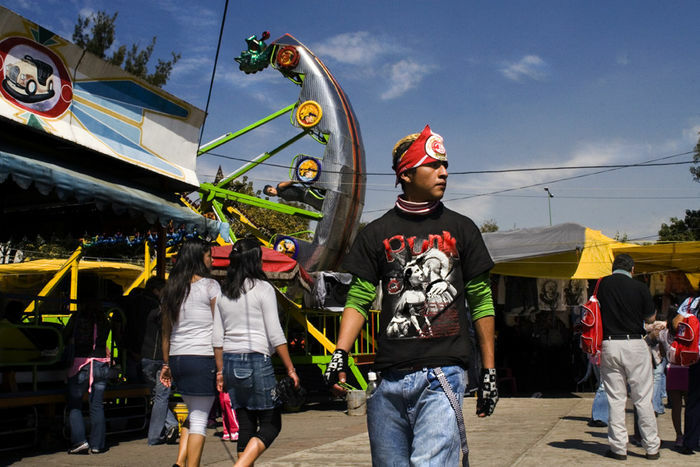 Thus, the macuarro (a name applied to novice or unskilled construction workers) is able to confront his “urban alter ego,” the Mazahuacholoskatopunk, who moves about the city’s plazas, confident and victorious, on Sundays. The project would also allow me to photograph reactions and relationships that the confrontation would provoke, which would also contribute, in its way, to the Mazahuacholoskatopunks’ visibility. Digressing somewhat, I should make clear that this project has the good fortune to have been shown at more than twenty exhibitions, both in and out of Mexico, at galleries and museums, and has been featured in no fewer than ten university discussion forums and conferences. Nevertheless, in all that time it has never been possible to present it as originally planned, in large-scale outdoor advertising formats, largely due to cost restraints. The closest approximation was its use as the promotional poster for Fotoseptiembre 2005, a photography festival organized in Mexico City, which allowed Mazahuacholoskatopunk to be exhibited at 50 citywide bus stops. In any form, the project would have been inconceivable if I hadn’t become paparazzi to the Mazahuacholoskatopunks, or put another way, if I hadn’t given these young people the attention and importance they deserve—the deserved privilege of being portrayed as superstars. It is my motivation behind using telephoto lenses, since with these I was able to recreate the “unapproachable” aesthetic/aura that models and movie stars often have. All the shots from the series I call Top Models Mazahuacholoskatopunk were taken in that way. Every Sunday for more than three years, I’d stake out areas where I was unlikely to be noticed and shoot the Mazahuacholoskatopunks remotely, to avoid their feeling exposed, because what interested me most was documenting the body language they’d incorporated into their day off—this dignity among indigenous kids within Mexico City, in the very place where it had been denied them for generations. 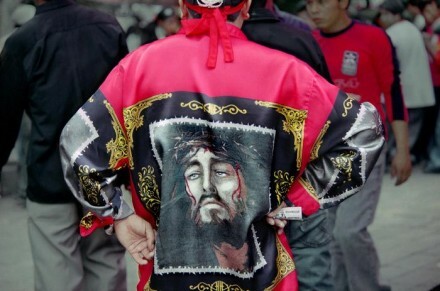 There is a strange contradiction in the Mazahuacholoskatopunks’ peculiar fashions. The pleasure and enjoyment these young people take in their outfits is quite notable, and as well, there is an entire system of accessorizing—one both time-consuming and highly formal—which tends to exaggeration and the baroque, exalting a certain dandyism and glamour. Still, it’s clear these young people don’t array themselves in order to be “discovered” by movie cameras. Rather, they do it to be anonymous, to be just one more city kid. Put another way, they seek not to attract attention, and this has become one of their effective successes, since urban dwellers see them not as Indians, but as kids from so-called “urban tribes.” Ironically the tribes are themselves discriminated against in certain environments, and this oppression has been converted by established groups into something of a unifying element. 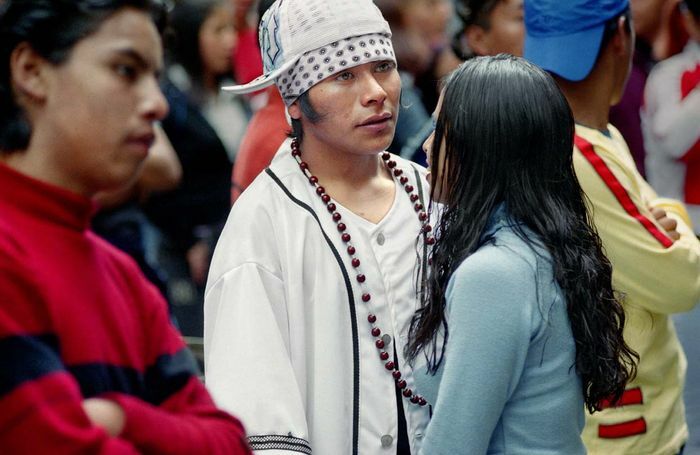 Nevertheless, the Mazahuacholoskatopunks’ fashion statements have more to do with metrosexuals than ideologues. They don’t go beyond belonging, of being part of a group of indigenous young people—sometimes fat, sometimes rebellious, sometimes clueless—who go to hang out and dance with their peers on Sunday. The fact they dress as cholos, skateboarders, punks, emos or goths make them formally equivalent to other city kids, but it doesn’t make them equal; they neither understand nor are interested in ideology, music, turf, nor the customs of the groups whose dress they imitate. Additionally, by not really belonging to these other groups, nor sharing their concerns, they are able to combine two or three youth subcultures’ fashions into their own outfits, but—and this is quite interesting—they unfailingly do so in combination with elements from their cultures of origin, i.e., with indigenous elements that become a sort of code for identifying one another. 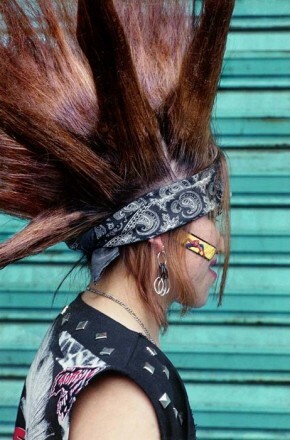 If these young people saw a “true” urban punk they would experience a certain fascination for the outfit, but the two subjects would not identify with one another, because “true” punks wouldn’t display elements taken from indigenous cultures—it would strike the latter as strange and in any case they couldn’t converse, because they’d also be unable to understand the Mazahuacholoskatopunks’ language or slang. Mazahuacholoskatopunk is a project I have sought to carry out since 1996. Back then, obviously, my subjects didn’t evince the same habits they do today with regard to representation and self-presentation, nor did I know where all this would lead; I was merely interested in them as a group that had no visible social dignity. Yet my knowledge of, or approach to, this group of young, rural Indian immigrants to the city dates back even further, to when I was a boy and I began to notice how city kids in gangs from my Tacubaya neighborhood disdained indigenous people, simply because we had been born in Mexico City and they hadn’t. I named this project and its young subjects Mazahuacholoskatopunk because they come from diverse regions and cultures. There are Zapotecs, Mixtecs, Otomís, Ñañus, and Nahuas, to name only a few ethnicities. The neighborhood where I lived as a boy, however, was an obligatory entry point for the Mazahua people. Buses that serve the mountainous regions to the west of Mexico City, and reach such communities as Toluca, Zitácuaro, Atlacomulco, El Oro, and Lerma—that is, Mazahua and Otomí lands—park on the street where I currently live, also a part of the Tacubaya neighborhood. 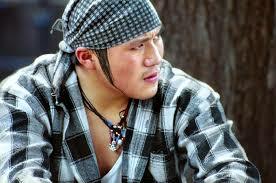 As such, I chose the Mazahua to symbolize the indigenous element of this intricate cultural mix. They are the group I know best, and the fact that one of the project’s most important images comes from Tacubaya makes it both autobiographical and auto-critical. To the degree that these young people accentuate and exaggerate their dress, so as well do they strip us naked as a society that discriminates and displaces indigenous people to the margins. That in turn makes their social visibility and dignity—something they themselves have constructed—all the more important.